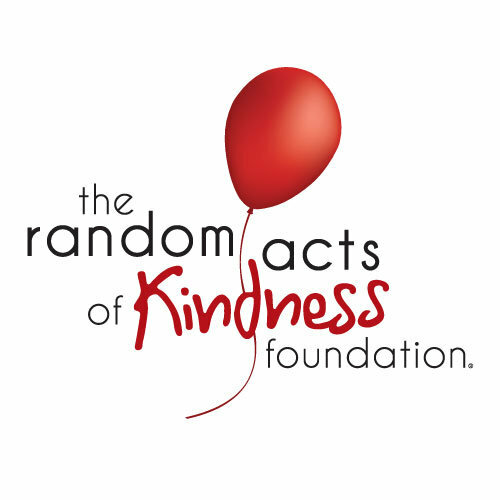 Now that the excitement of Valentine’s Day has died down, you might be interested to know that this week (Feb. 14-20) is the Random Acts of Kindness Week, sponsored by the Random Acts of Kindness Foundation. Their challenge for this week is to do one act of kindness each day. If you sign up for their email list, they will even provide suggestions for those who are short on ideas. One part of me (the task-oriented, to-do-list side) likes the idea of making a goal of one kind act per day so that I can check it off my list and feel like I accomplished something good. But the other side of me (the relationship-oriented side) says it’s not that easy. If any truly good or kind thing we do originates with the Father, Son, and Holy Spirit, then we are simply participating in their joy, their kindness, their love. Whenever I make a goal of some act of participation, it loses something. It’s as if I’m in a couples dance, and I try to take the lead. There isn’t the effortless glide of letting my dance partner show me where to twirl, dip, or spin. In fact, I usually end up stepping on someone’s toes. In 1999, Phyllis Cole-Dai, an old high school classmate of mine, and her friend spent the 40 days of Lent living on the streets of Columbus, Ohio. She kept a journal of those days and ended up writing a book called The Emptiness of our Hands: A Lent Lived on the Streets. Phyllis recounts in the book the times that faith-based groups attempted to “help” the homeless. Though their intentions were good, they didn’t really perceive the true need of the moment. On the other hand, if we remember that we are always living our ordinary lives in participation with the Trinity, we can be in tune with what the Father, Son, and Spirit are doing in any given situation. Just as an artist waits for inspiration, we can be led by the Spirit to see our part. Although I appreciate the awareness that the Random Acts of Kindness Week brings, it’s important to remember that any good we do comes from the Triune God. For that good to meet the true need of our fellow human being, we must follow the Spirit’s leading and participate in the fullest sense with what the Father, Son, and Spirit are doing. Otherwise, our act of kindness ends up being just another item checked off our list; or worse, we end up stepping on someone’s toes. I’m not sure if you understood the purpose of my post. My intent was to encourage everyone NOT to focus on lists of helpful things to do, but instead to live out our lives with one ear attuned to that “gentle whisper,” the nudge of the Holy Spirit that gives us insight into the true need of the moment and how we personally can respond. I have found that if I focus on a list, it becomes more about me getting something done than about what the Triune God is doing through me in the most mundane activities or places. I think this is also a danger that churches need to be aware of, as I pointed out in the post, recounting my classmate’s experience as a “homeless” person in Columbus and her interaction with faith-based groups who were trying to help. Being kind randomly is less about lists and programs and more about participating in life and kindness oppportunities as they come to you. Thanks for your interest in the post.